Accordingly and we landed early morning in Trivandrum and checked into the Taj Hotel. He was really flabbergasted by the services rendered by the darwan (Person guarding the main entrance and receives the guests), the bell boy and the room service, which he had never experienced in all our travel across North America. 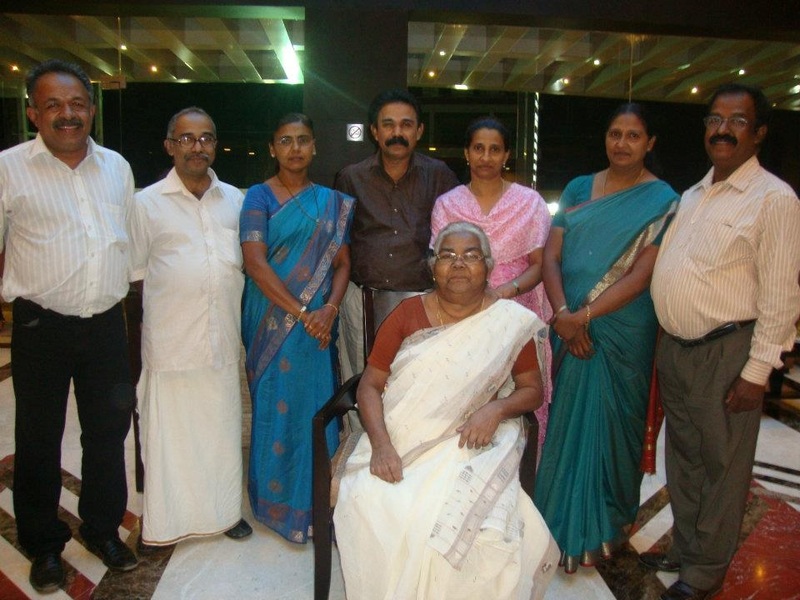 After visiting the temple we headed to Kottayam and stayed with my eldest brother, with whom my mother lived. On our way back, we came through Chennai as we had planned to spend an evening with Major General Ramachandran, who was our Commanding Officer and at that time serving with the Area Headquarters at Chennai. On reaching his residence, the sight of the guards, the way the lawn was manicured and the fabulous garden, the way he was looked after by the General and his wife and all the services he received from the staff at the General’s home seem to have touched a nerve or two in the teenager. When we went to bed, Nikhil asked me as to why did I leave all these luxuries behind and quit the army and whether I missed these. To this I said that I really miss all these, but had to make a choice between the family and the army and hence I migrated to Canada to join the family. Had I continued in the army, they would have visited me during their vacations for few weeks and I would have visited them for two or the most three months (including furlough) an year. I was touched by his reply “That is a real sacrifice for our sake”. One day at Kottayam, we decided to set off on foot to visit the old temples and churches around my elder brother’s home. Nikhil was finding it difficult to keep up with me and I asked him whether he was feeling good to walk or should we hire an auto-rickshaw. He said that he had a heavy breakfast as his grandmother wanted him to put on a few kilos and hence piled up his plate. He was upset that the granny did not realise that his body structure and metabolism did ensure that he remained thin and it was not that he did not eat enough and he added that granny being a school teacher, who is well read and well travelled should realise it. “You could have always refused her and could have left the meal half eaten”, I said. “Your mother is too powerful and I can never say ‘no’ to her. Look at your eldest brother who is four years elder to you and your elder brother, the city’s public prosecutor, they never said ‘no’ to her and instantly obeyed all what she said. When she was in Canada with us, you never said ‘no’ to her. How do you expect a little boy like me stand up to her and ever say a word” said Nikhil. Then I realised that this trip was worth more than a thousand times its cost.